John Abraham starrer spy-thriller, 'Romeo Akbar Walter', released on 5 April and took a decent opening at the box office. The film collected around an estimated ~5.45 crores on its first day at the box office. 'RAW' is the solo major Bollywood release this week at the box office. And, multiplexes formed the major chunk of the film's collections. John Abraham's previous film, 'Satyameva Jayate', had collected around an estimated ~17.5 crores on its opening day at the box office. 'Satyameva Jayate' had released on 15th Aug on the occasion of the Indian Independence Day, and had clashed with Akshay Kumar starrer 'Gold'. The film was a mass masala-action film with a hit song dance-number, and the single screens had contributed significantly towards the film's collections. Romeo Akbar Walter lacked the single screen advantage that Satyameva Jayate had, and 'RAW' is almost a pure Multiplex film. There were no hit dance-numbers for RAW, and the film almost totally lacked in action, and it turned out to be a dragging unexciting affair. But, when not compared to 'Satyameva Jayate', the collections of 'Romeo Akbar Walter' are on par with the other solo John Abraham starrer films like 'Parmanu', 'Force 2', 'Rocky Handsome' and 'Madras Cafe'. All these films had collected around the 5 crore mark on their opening day at the box office, which is also the case with 'RAW. The thing is, that single screen masala movies be it action or comedy, don't get affected by the negative critic reviews much. Like, in case of 'Simmba' and the recently released 'Total Dhamaal' whose reviews were largely negative, but still emerged as successful films at the box office. But, the multiplex films like 'RAW' get affected by the negative critical response, and end up struggling at the box office, unless, the audience word-of-mouth turns out be great. Here, in case of 'Rome Akbar Walter', the audience word-of-mouth is not good enough to lift the film at the box office, and the film is likely to suffer a huge crash in the second week. And, in spite of all these factors, the ~5.5 crore opening is good enough. But, a better opening could have helped the film more at the box office. 'Romeo Akbar Walter' showed decent amount of growth in its collections on Saturday and Sunday. The growth on Saturday was around ~20% and Sunday was around ~50% from Friday's collections. The first weekend collections of the film stand at around ~20.25 crores. The film's Monday Collections took a drop of around ~45% from Friday's collections. 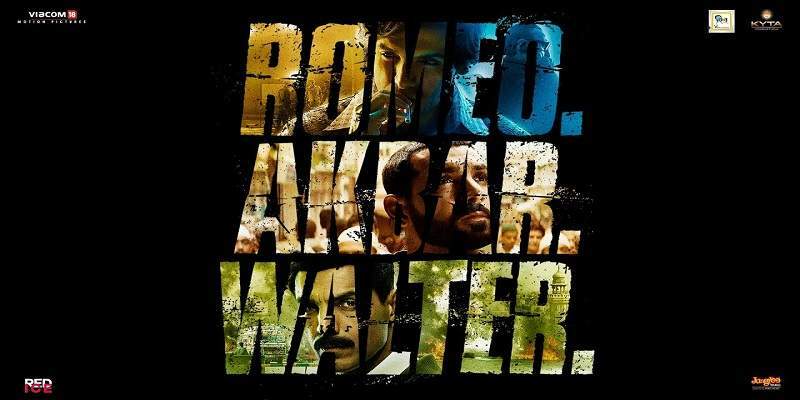 Romeo Akbar Walter opened to mostly negative reviews from the critics. And, the initial audience word-of-mouth of word was mixed going by the ground reports from the cinemas. The film is directed by Robbie Grewal, and is reportedly based on the life of a real like RA&W agent. End of 1st Week UPDATE: Romeo Akbar Walter ended its first week at the box office by collecting a respectable total of around ~31.5 crores. The lack any significant Bollywood release in its second week should help the film at the box office. 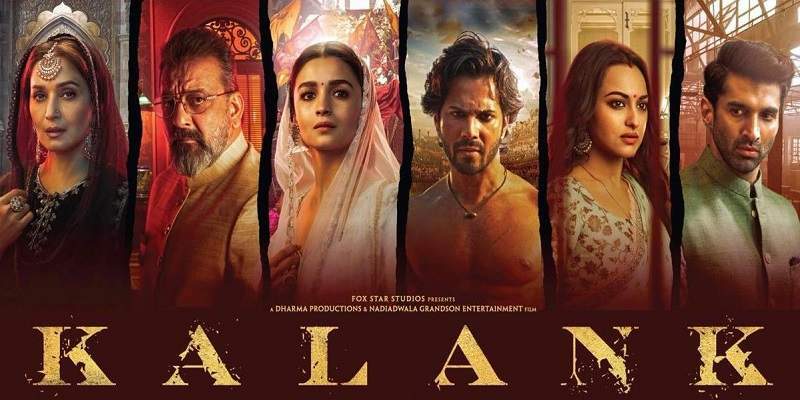 But, it will only have a good space at the box office till 'Kalank' arrives on 17th April (Wednesday). So, Romeo Akbar Walter has to make the most in its second weekend, and collect whatever it can in the next five days. Total Screens - Around ~2900 screens all across India on Day1. Romeo Akbar Walter was the solo Bollywood release this weekend at the box office, and has managed to release in good number of screens all across India.